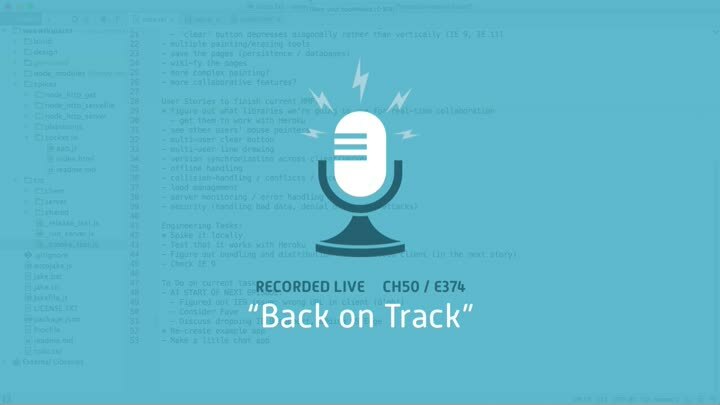 We get back on track after discovering the silly mistake behind last episode’s IE 9 issue. With that behind us, we’re able to finish our “hello world” spike of socket.io and make good progress on a little chat app. We also take a look at Faye, another tool for real-time communication.